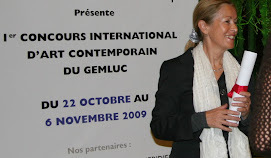 20 OpenArtCode artists will exhibit their artwork from 22 October to 6 November 2009 at the Auditorium Ranieri III in the Principality of Monaco in the event GemlucART organized by Gemluc. GEMLUC (Groupement des Entreprises Monegasques dans la Lutte contre le Cancer) is a charitable association founded in 1973 to fight against cancer. OpenArtCode is made up of a group of talented artists who have very different technical styles and varied artistic formation. They have united their talents in the past to exhibit together in Italy, France, Mexico and last year at Artemisia Gallery in Monte-Carlo, under the umbrella of Passion for Life. A gala evening, baptized "Soiree de l'Espoir" will be held on 14 October, 2009. The evening will be organized by the Chaine des Rotisseurs who are famous for their know-how in fine dining. Guests can indulge in a variety of gourmet dishes while enjoying some musical entertainment. The dinner will take place in the salon "Mediterranée" of the hotel Le Meridien Beach Plaza. Her Royal Highness the Princess of Hanover, who is also the Honorary President of the organization, will be present at this dinner. The artists participating in OpenArtCode Monte-Carlo are: Barbara Alcalde, Marely Becerra, Leon Bosboom, Emilie Cummings, Marybel Gallegos, Marina Gavazzi, Sumio Inoue, Maz Jackson, Marianne Jansen, Margaret Karapetian, Margaret LaBounty, Sina Lee, Arianna Luporini, Lina Moretti Nesticò, Catalina Ochoa, Edward Rilke, Claudio Stefanelli, Paolo Turini.